Antarctica – The discovery of life supporting aquifers in Antarctica has raised hopes that since Mars has similar life conditions, there is a possibility of life on the red planet too. Recently the scientists discovered a network of saltwater around 1000 feet below in Antarctica’s ice-free region. That is why the researchers have started speculating about the possibilities of life on Mars. Antarctica is similar to Mars, especially the McMurdo Dry Valleys where the presence of saltwater was tracked. The report, published in The Verge explains that these valleys are the driest and coldest environments on Earth similar to the climatic conditions on Mars. Another study published in the Nature Communications Journal says that it is an important discovery because saltwater was discovered at a temperature at which microbial life can survive. The researchers to find the saltwater brines in Antarctica used an electromagnetic sensor. The brines were found below the frozen surfaces, which is the unfrozen, interconnected aquifer system of Antarctica. Researchers believe that the aquifers are the remnants of an evaporated lake or ancient ocean deposits. The extensive aquifers are present below the lakes, glaciers and even within permanently frozen soil surfaces. According to Jill Mikucki, lead author of this study, the unfrozen materials can be the relics of surface ecosystems of the past. He further added that now these materials are providing deep subsurface habitats for the sustenance of microbial life. 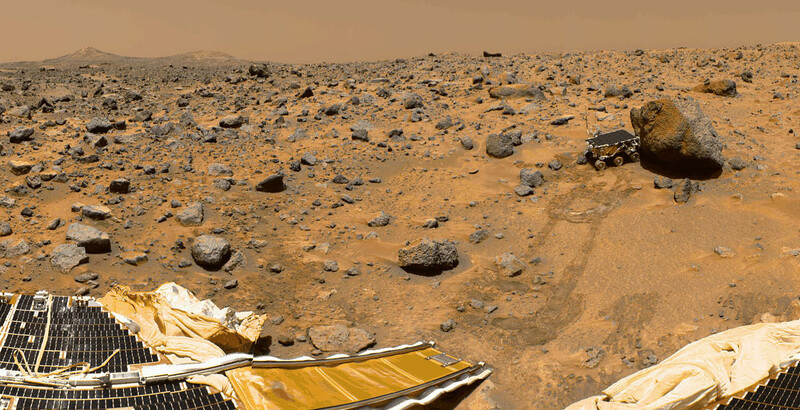 Can Subsurface of Mars Sustain Life? Until now, researchers had believed that the freezing temperature on the surface of the Mars could not support any form of life. However, just like Antarctica there is a possibility that the subsurface may have the temperature-supporting sustenance of microbial life forms. This new finding has generated a lot of interest among the researchers who now are eager to dig out more of Antarctica to find out the the existence of another saltwater brines. Noted hydrogeologist from the Louisiana State University, Peter Doran has said that these new findings have the potential to become a game changer in how geochemistry and lake histories are perceived.